Did you know there was a Beast Wars/Bay Movie crossover? Yes, it is true. 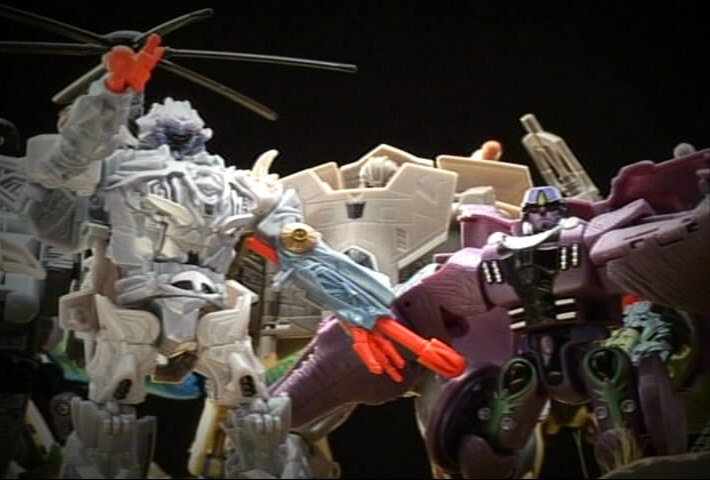 There was once a story that involved a crossover between Beast Wars and the first live action Transformers movie. Four Autobots and four Decepticons from the first movie were sent through a warp in space-time that brought them to the world (and era) of the Beast Wars on prehistoric Earth. Optimus Primal and BW Megatron fought each other. Cheetor and Waspinator fought each other. 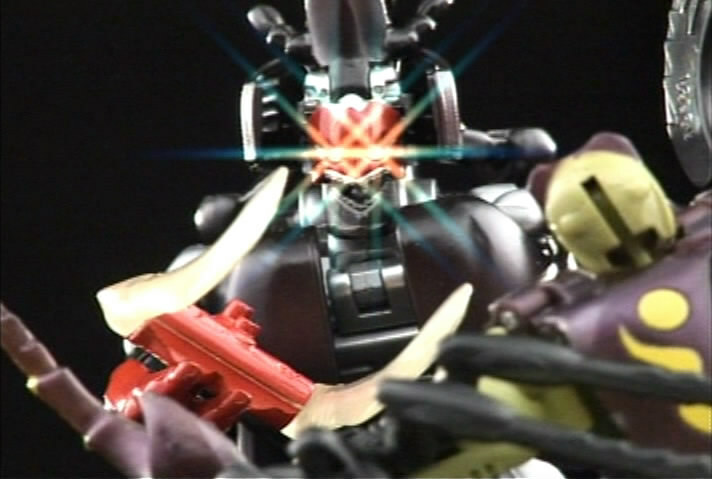 Dinobot and Blackarachnia battled each other. Cohrada and Archadis from Beast Wars Neo were flung into the past somehow and fought in this battle against each other. Rhinox battled a mysterious new Predacon named Wolfang. Six of the eight Movie characters arrived from another dimension via the warp and join the then-current battle. Movie Starscream sided with BW Megatron to steal the planet's energy. After another time anomaly brought Gimlet from Beast Wars II into the past, he switched sides (for no good reason) to become a Predacon, and then teamed up with Movie Blackout to fight against Tigatron. Tigatron was then aided against Blackout and Gimlet by Cheetor, Optimus Primal, Movie Ironhide, Movie Ratchet and Movie Jazz. Starscream came to aid his comrades by fighting Tigatron alone, but Optimus Primal and Movie Optimus Prime (who just got there) fought him back. Movie Megatron and Movie Brawl arrived late from the warp, and teamed up with BW Megatron. Motorarm from Beast Wars II (and a [former] comrade of Gimlet's) arrived, flung into the past too, and fought Tarantulas. Both factions stood before each other for a final attack. Each side prepared to launch their energies at each other, and Motorarm led the charge as the Maximals/Autobots fired first. Optimus Primal and BW Megatron each absorbed a large amount of Energon that made them both grow giant-sized, and then proceeded to fight each other. The Maximal Mini-Con commando ninja Dragoyell somehow took part in all this too, sticking mostly to the background and the shadows. ...Yeah, it all sounds like crazy fanfiction doesn't it? Well, truth be told, I didn't make this up. I just summed up the events a short series titled "Transformers: Beast Wars Diorama Story", which featured a few short "episodes" that were included as bonuses on the pack-in DVDs of the Beast Wars Telemocha Series toyline (which was basically Japan's own 10th Anniversary Beast Wars toyline). 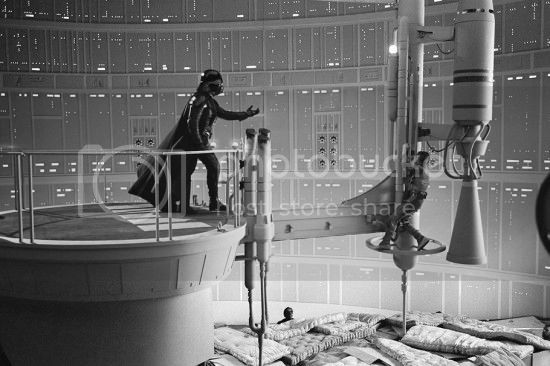 Each "episode" was mostly a bunch of the toys set on a diorama landscape with the occasional laser blast explosion effects thrown in. While the Beast Wars characters were represented by their Telemocha toys, the Movie characters were their Fast Action Battler toys. It's interesting to point out that, despite him being something like the movies' mascot, Movie Bumblebee was noticeably absent from these events. Granted, it was because only the first three waves of the Movie 1 FABs (minus Frenzy) were sold in Japan. Meaning that it was only Optimus Prime, Ironhide, Ratchet, Jazz, Megatron, Starscream, Brawl, and Blackout who got to meet the Beasties. Still though, it's rare to find something related the films that doesn't include Bumblebee. Anyone wanna see some pics? Re: Did you know there was a Beast Wars/Bay Movie crossover? sounds like verry verry bad fan fiction. i find it hard to believe this is true but i have looked it up and your knolage is always corect sab o i ... just don't know what to say. Even the characters involved aren't sure of the exact details. lioconvoy wrote: sounds like verry verry bad fan fiction. I know, right? This is just so weird and yet it's real. This plot is so... out there, and it's just one of the most unexpected events to ever occur during the Beast Wars. The way this story goes, it's like it expects us to believe that a long amount of time occurs between episodes 21 and 22 of Beast Wars. Though, thinking about it, there is some leeway for that to have happened, as episode 22 shows a full garden having grown in front of the Axalon, which was not there in any episode before it. Now, if there had been this big event that occurred prior to that episode, I guess it wouldn't hurt to assume that that garden grew during the period of time that this crossover fight took place. But, even with that put aside, there are still several questions that this brings up. By what means did Cohrada, Archadis, Gimlet, and Motorarm get flung into the past? What's the origin of the time warp that brought the eight Movie dudes into the Beast Wars? Why in the name of Primus' right thunb did Gimlet switch sides?! I thought he was a happy comic relief character. Did this guy ever show signs of wanting to be a bad guy? How did everyone get back to their own times and dimensions? How did the story end? How did Primal and BW Megs grow big by absorbing energon? Shouldn't the energon radiation have harmed them? Or at least just increase their power (like what it did to Terrorsaur) rather than their size too? Where'd Wolfang come from? Was he a newly-awakened Profoform that arrived during all this? What's Dragoyell's deal? Just... what is up with that guy? Why was Tarantulas included when he had no Telemocha toy? How on Earth are Movie Jazz, Movie Megs, Movie Brawl, and Movie Blackout all there in their Movie 1 bodies without being dead? Did they all come from some alternate reality version of the first movie in which none of them died? Why? Just... why? Aside from promoting the BW Telemocha toys and the Movie FAB toys, just... WHY? ^You forgot to ask how Primal and Beast Megs shrunk back down to normal size after the events of this whacked out crossover. TriPredRavage wrote: ^You forgot to ask how Primal and Beast Megs shrunk back down to normal size after the events of this whacked out crossover. I just guessed they shrank back after beating the snot out of each other. Though, you do bring up something interesting that has now got me thinking. What if that is how they are so big in RobotMasters? Maybe they grew huge here, and then were sent to 2004 via Blasty Zone without shrinking back down. Maybe the Blasty Zone is the time-space anomaly that brought everyone here like it later brought everyone there. This idea helps bridge the continuity of this with RobotMasters. I just read this, how weirdly cool. I wish someone would Youtube-it. But, the story would probably be in Japanese, right?